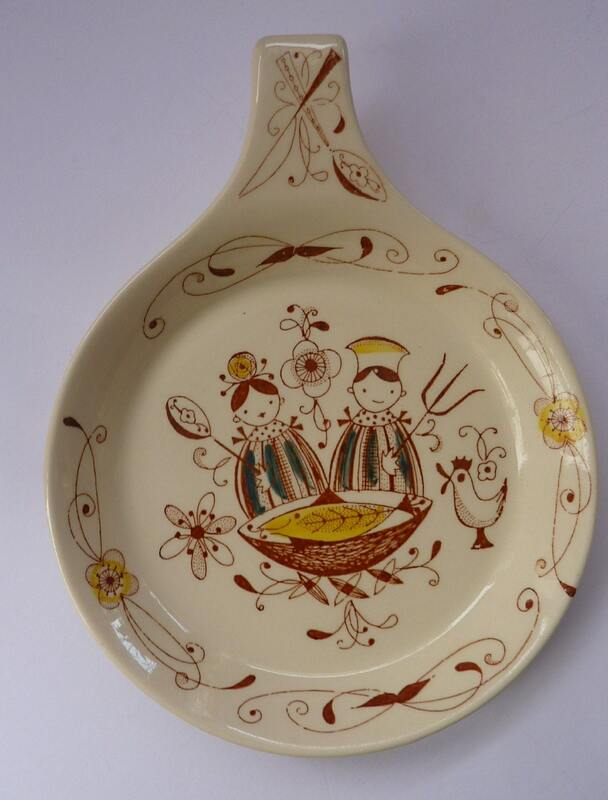 This is a very cute and highly decorative plate or skillet designed by Inter Waage for the Norwegian company - Stavangerflint. 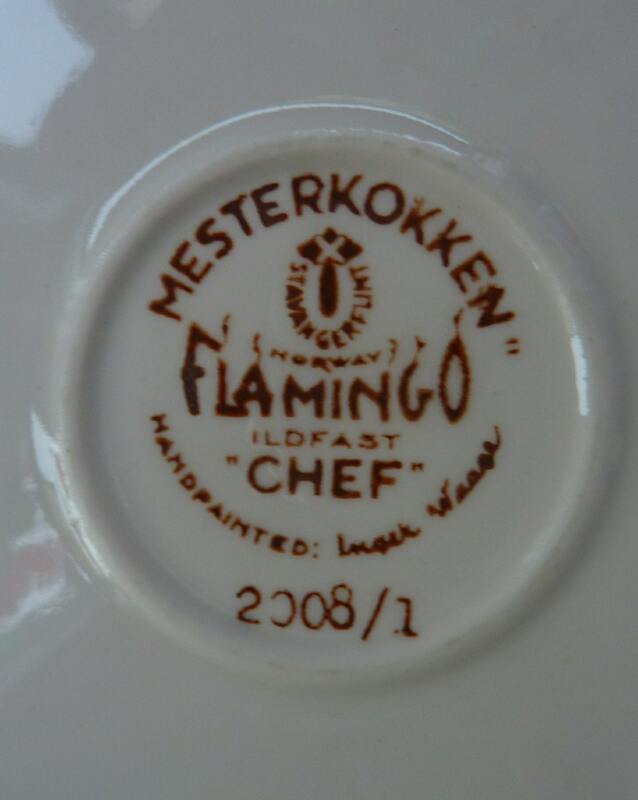 It is made as part of the Flamingo series, and the pattern is called Chef. 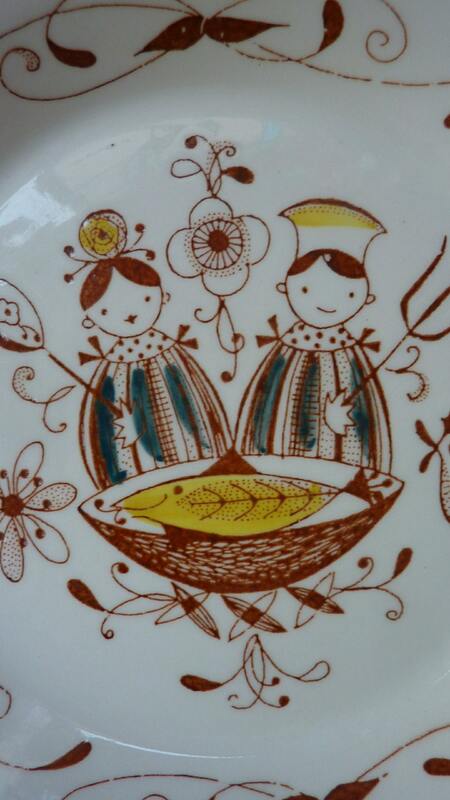 The design shows two little chefs and their culinary creation - a large cooked fish - there is a little chicken looking on - and the background is strewn with lots of stylised flowers. 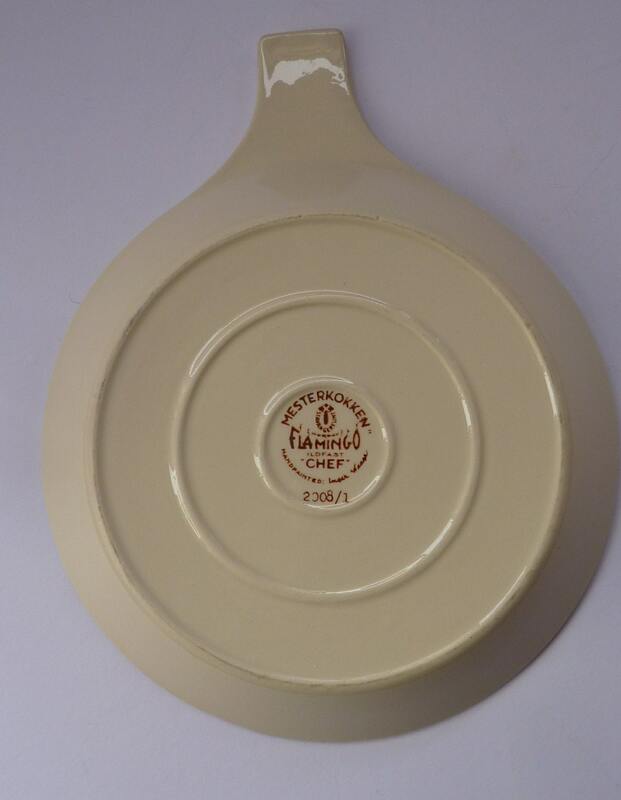 The skillet is about 20 cm in diameter and with the handle is 25 cm in length. 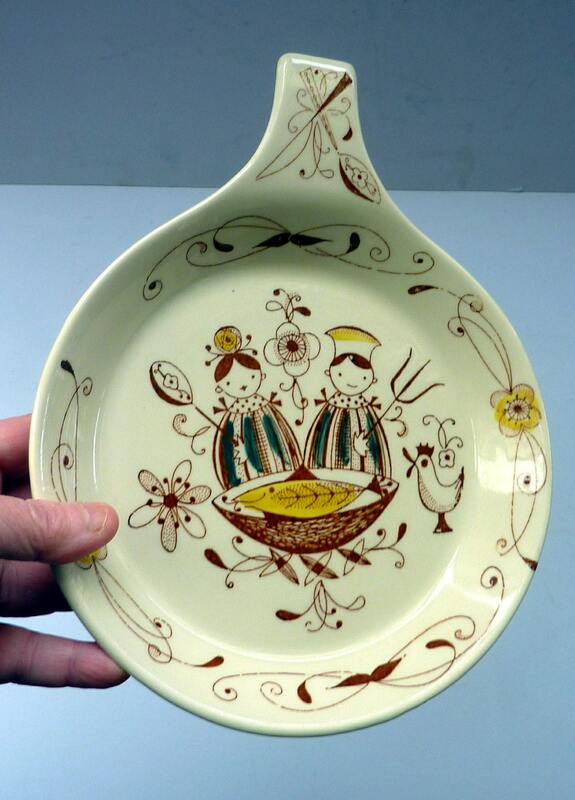 It is in lovely vintage condition - with no damages or cutlery marks.